Take the guesswork out of corticosteroids. Monitoring detailed FeNO results now and over time helps pinpoint the most effective anti-inflammatory treatments and dosing levels. A rising FeNO level is an early sign of worsening eosinophilic inflammation. Orchestrate treatments with confidence by tracking your patients’ FeNO on every visit. 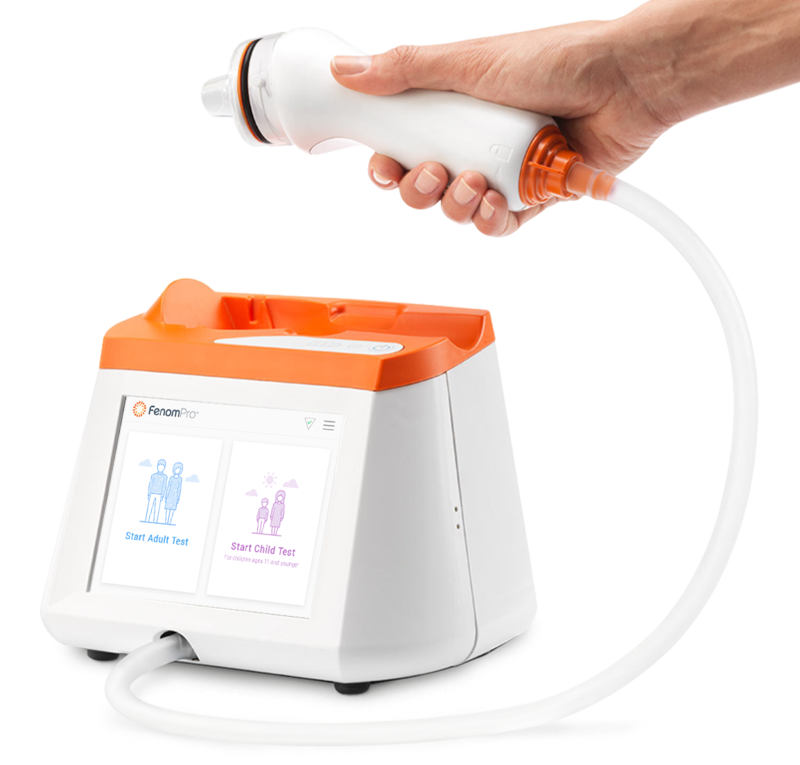 Count on the proven technology of Fenom Pro™ for dependable test results, better adherence, and lower costs. * In select countries, including Germany, Italy, France, Spain, the UK, and Australia. Enjoy fast results with the shortest test times in the industry. It doesn’t get more user-friendly than Fenom Pro™. You’ll appreciate how easy it is to use and maintain. And on the e-health side, patients can upload their results using Fenom Connect ™ to reinforce adherence. 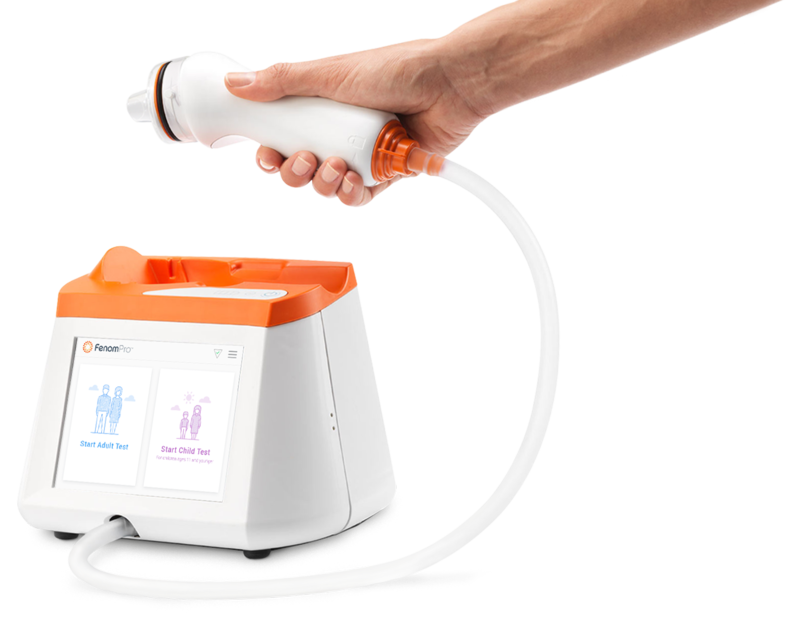 View Instructions for Use where Fenom Pro™ is currently available: Germany, Italy, France, Spain and the UK. Fenom Connect™ was designed with adherence in mind. It transforms a patient’s asthma action plan into a digital experience designed for daily use, and improves patient adherence by reminding them to take their medication. And because Fenom Connect™ encourages patients to input the asthma plans you are already providing, there’s no extra work for you or your staff, and no portals or applications to figure out. Interested in learning more? Contact your distributor.